In Facebook, pretty much the usual the routine is liking or commenting on a post of your friends, or reading trending articles and watching videos. And from time to time, you’ll also bump into photo contests…and that’s what I caught myself into while in Guatemala. I joined a small photo contest of an english magazine in Guatemala, with the theme “Architecture in Guatemala”, for the September issue of the magazine. Looking at the first few entries already posted at the magazine’s Facebook page submitted by professional photographers, I felt quite hesitant to send mine. I mean, with my simple digital camera and not so smart smartphone, my photos are simply for fun by a shutterbug like me. However, I wanted to share some photos I took during my travels around the country to a wider audience, images of the intricacy of every buildings I’ve seen so far in Guatemala. The architectural influences reflected in every building and in every municipality that captivated my eyes and truly admired. And there it was, I submitted my entry and landed myself as an official participant of the contest. To be honest, I was quite unsure whether people who will see my photo will get what exactly the subject of my entry. Will they appreciate my interpretation of “architecture” or will they ever get it at first glance. But what the heck anyways, as they say beauty is in the eyes of the beholder. So there are 2 categories in the contest, one is “by popular vote” and the second is “by editorial decision”. Initially, winning the contest came only second but as the contest approaching to its end, I found myself bitten by the “like” bug of Facebook. Thinking, how cool will it be to see my name and photo in print. I knew that my chance of winning the “by editorial decision”, is quite vague. Seriously, so many amazing photo entries, therefore, the “by editorial decision” is out for me and I aimed to get the other category instead. The competitive genes in me were raging and told myself, “I can convince (or harass 😉 ) my 400+ Facebook friends to like my entry, I can win this”. And yes, it was an adrenaline rush to lead against other participants…Game on! To my surprise as well, my close friends commented that they sincerely liked my picture and even those whom I barely talked to appreciated my entry too. That was a treat, to know that other people see and appreciate what you consider to be interesting and beautiful. And voila! I won the “by popular vote” category. With 382 votes with 50 votes lead cut off time and still counting up to the next day. 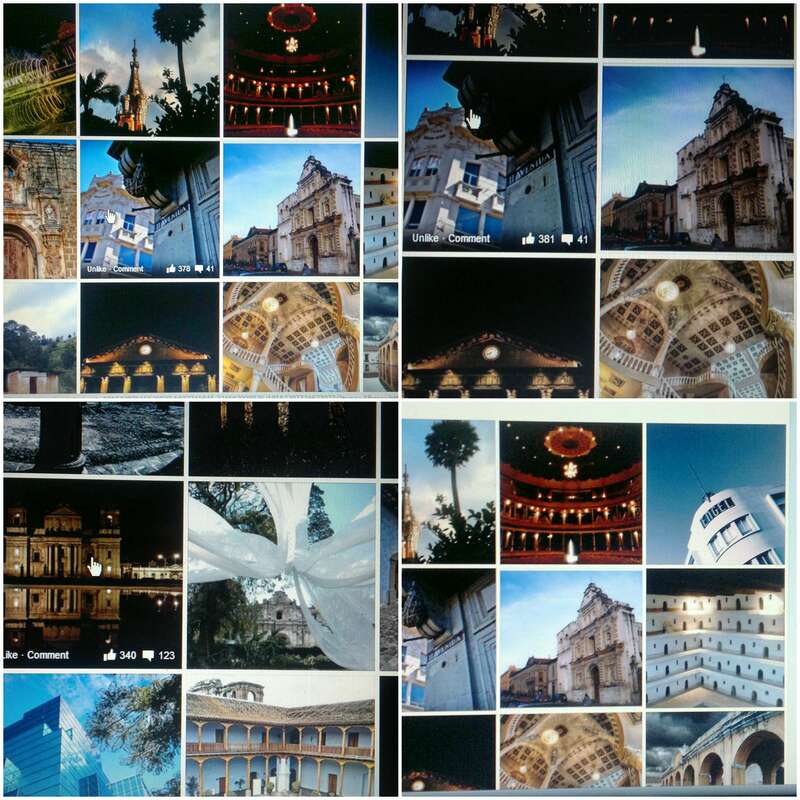 To see all photo contest winners and read more about the magazine please check-out this link http://www.revuemag.com/2014/08/winners-of-the-revue-photo-contest-september-2014-architecture-in-guatemala/. Aside from winning, of course there are some realizations that came out of this contest. I was reminded of few life lessons along the way. 1. Courage. I mentioned to one of my friends that I joined a photo contest, as well as my preoccupations about it. Me, being shy and hesitant about the idea of sharing my interpretation of what is beautiful and interesting. I was concerned that my work will not be validated the way I wanted it to be, or the approval I was hoping to get. I was concerned what other people will think about it, about me. You know what, people will always have an opinion about you, might as well do it anyway. The fact that you put yourself out there is already an act of courage, expressing yourself bravely. If it something positive, will bring out the best in you and will inspire others, go ahead do the things you’ve wanted to do. As the saying goes “You can never cross the ocean until you have the courage to lose sight of the shore”. 2. Hardwork. Gathering “like” votes is a work itself. Sharing the link on your wall doesn’t do the magic you wanted to be. Analyzing Facebook algorithm is quite tricky, you have to understand how often and when your friends will see your post. You need to have a game plan on how to guide your friends, on how to like the photo and have their like votes be counted. Serious stuff, isn’t it. Aside from sharing the link on your wall, you might want to consider posting it on your group pages, private messages, and tapping your close friends to do you a favor by sharing the link as well to their friends. Believe me, it is crazy! If you want to achieve positive outcome, you have to work hard and smart to get the result you wanted. But remember that win or lose, what matters most is that you played the game well and clean. You’ll reap the fruits of your labor or in other form eventually. 3. Gratitude. Out of the 414 friends I have on my Facebook account, I asked maybe half of them one by one for their like vote. People whom I have really close relationship with. Friends from grade school, high school, college, my family and relatives. All of them who helped me gather those “like votes” and happily joined my craziness. And I thanked them one by one as well after winning the contest. It may sound silly but you have to celebrate those simple triumph, I shared that simple happiness as well with the people I know by heart. Be grateful for those real people in your life who helped/helping you, either in big or small things and don’t forget to value their time and effort that they extend to you. They are all your real winnings in life. 4. Reconnect. While I was talking to my friends about the contest, I actually was able to catch up with them as well. It was sort of way to update myself about my friends. It gave me the chance to know more on what they are up to nowadays, that even they post pictures and updates on their Facebook, I found myself missing out a lot about them still. I learned the real deal, stories behind every updates they posted. Somehow, it reminds me that to maintain a friendship even in a long distance you have to improvise your ways to keep that closeness burning you have among your real friends. 5. Have fun and chill. If you decide to participate in a contest like this on Facebook, have fun! I laughed a lot during those moments I was talking to my friends about this photo contest. Joking around about the possible “30 days of fame” I could get by being featured in a magazine, the acceptance speech, and the story behind my entry. It was a hilarious moment. Don’t be carried away with all the hype of work. Enjoy, laugh, and relax. Whatever you’re doing, as you put all your heart and effort to carry out things, never forget to have fun. That makes the journey and the reasons behind joining a stint like this extra special. Thank you for reading my thoughts and come back again and again. If you have something to share….please, please feel free to leave me some comments below. Don’t forget to subscribe to my mailing list to receive and read my latest travel adventure from your inbox. Or, follow me in Facebook or Instagram to know the recent scoop from me. 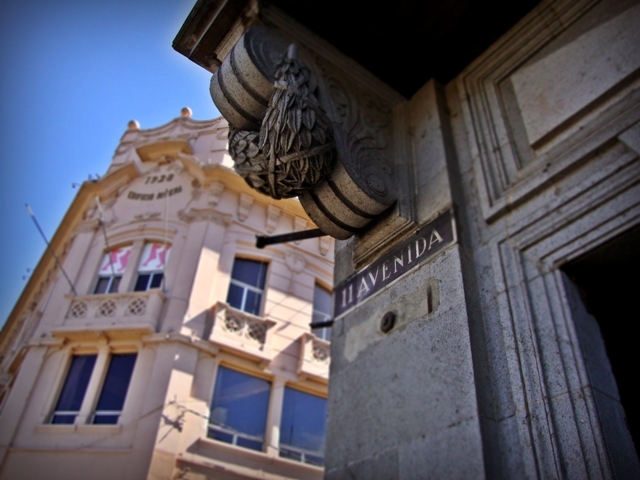 How do you find your stay in Guatemala? I’ve got a job offer in Guatemala but not decided yet. Still confused if I will accept the offer or not. Thank you for reaching out. Well in general my stay in Guatemala is fine though I will not lie that there are times I get so preoccupied and scared about the security in this country especially when I’m travelling alone. However, when you educate yourself and understand the crime situation here you’ll be fine of course. Of course, the language, mainly Spanish but if you’ll be working with other expats then English won’t be a scarcity, but still try to learn some basics to get along. There so many beautiful places to see and if you enjoy learning new culture, Guatemala is a contender. If you’re from the US, the amenities you have back home is pretty much available here as well. Now, for your job offer I suggest that you to verify the perks included with it. For example, the housing, if it is in the city, ask what zone will it be because it is vital. There are zones in the city that are considered expat friendly like Zone 10 and 14. Ask if it is a gated community, mainly ask about the security. Ask about health insurance..etc. Lastly, ask questions that you think it is important for you, they may sound silly but if it will give you clarity everything counts. All in all, it will be an adventure for you. I hope I helped you in some sort. Suerte! Thank you so much Ms. Imelda for the very helpful information. Godbless.